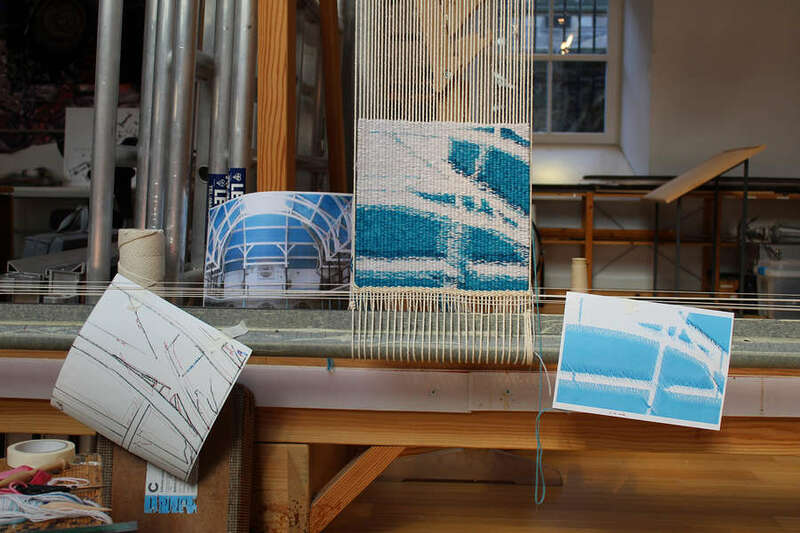 Dovecot Tapestry Studio is creating a new piece inspired by the building’s heritage as a former Victorian swimming baths. An image of the old Infirmary Street Baths pool will be divided into twenty four squares and the entire weaving team will contribute, each individually interpreting a section of the image. This is part of wider celebrations to commemorate Dovecot weaving at Infirmary Street for a decade, including exhibitions BATHS TO BOBBINS 10 years at Infirmary Street that is currently on the Viewing Balcony and SCREEN FOR ANOTHER FOCUS | David Penny, which opens on 25 May 2018. Progress of the work can be viewed from the Tapestry Studio Viewing Balcony Monday to Friday 12-3pm and Saturday 10.30am-5.30pm. Please check Opening Times before visiting.